Keep track of your progress, time and invoicing. 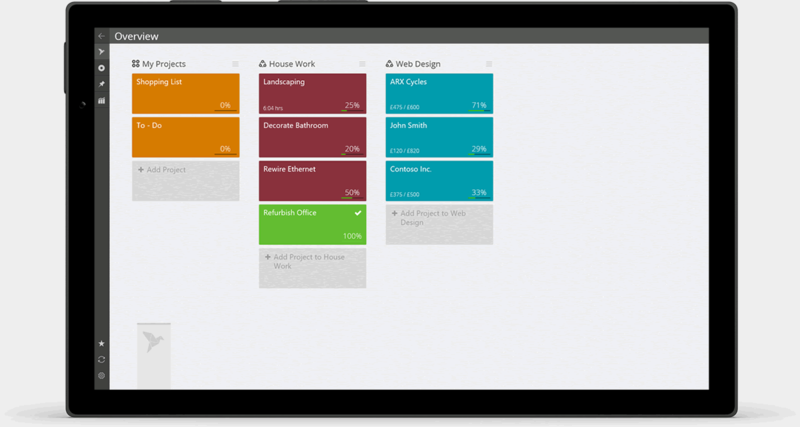 Lightweight and easy to use, add tasks and organize them inside your project. 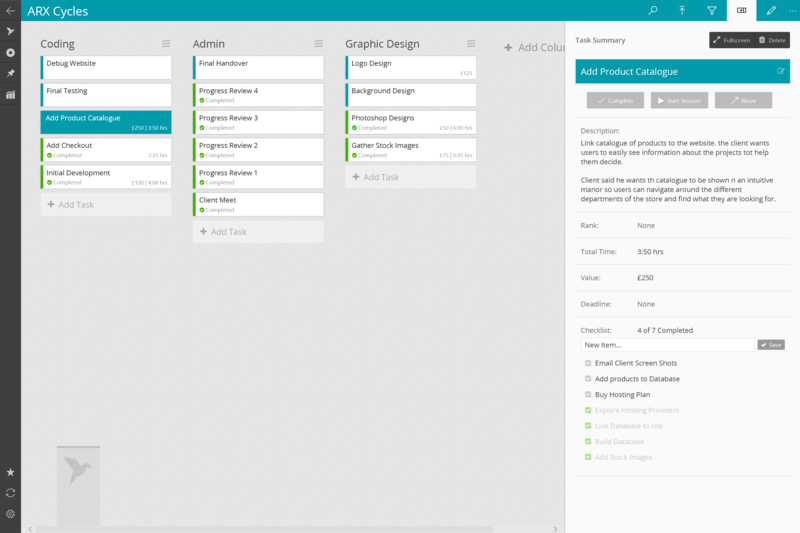 Add extra detail to tasks to keep track of deadlines, invoicing and more. Start a timer on a task to see where your time is going, or even to calculate a $/hr job. Manage all your projects, in one place. 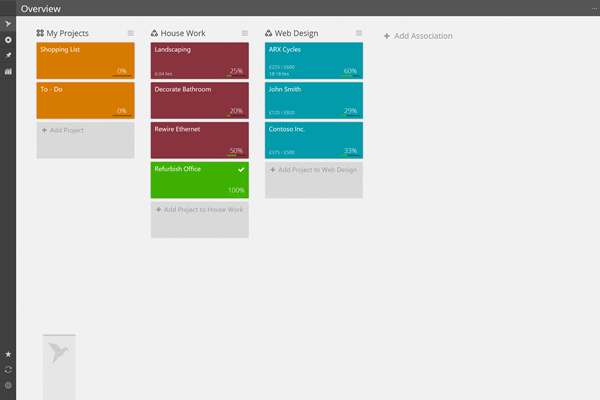 Projects are customized to provide the functionality you want - and remove the clutter. 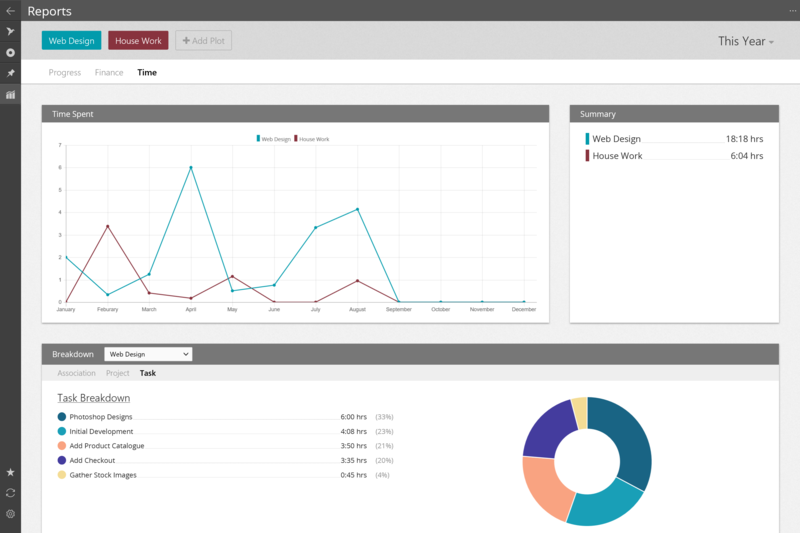 Decide if you want to track time and invoicing, or just use Eclipse to organize your tasks. Get the status of your project at a glance on the overview page. View reports of your progress, time and invoicing to get insights into projects. Decide what data you want to look at over any given time period. Use the graph to get an overall picture or look at a breakdown of the data to understand.